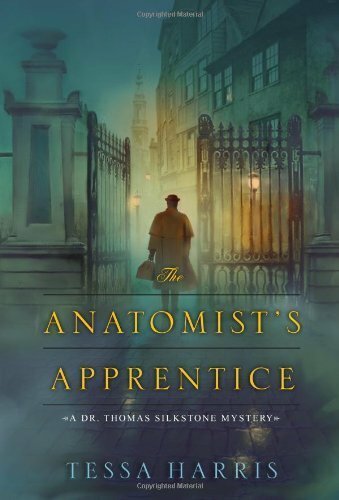 In the first in a stunning new mystery series set in eighteenth-century England, Tessa Harris introduces Dr. Thomas Silkstone, anatomist and pioneering forensic detective. . . The death of Sir Edward Crick has unleashed a torrent of gossip through the seedy taverns and elegant ballrooms of Oxfordshire. Few mourn the dissolute young man–except his sister, the beautiful Lady Lydia Farrell. When her husband comes under suspicion of murder, she seeks expert help from Dr. Thomas Silkstone, a young anatomist from Philadelphia. Thomas arrived in England to study under its foremost surgeon, where his unconventional methods only add to his outsider status. Against his better judgment he agrees to examine Sir Edward’s corpse. But it is not only the dead, but also the living, to whom he must apply the keen blade of his intellect. And the deeper the doctor’s investigations go, the greater the risk that he will be consigned to the ranks of the corpses he studies. . .